EVERY parent hopes for the best for their children by taking care of their clothing, nutrition and matters related to their education. Having a perfect education is among the factors that contribute towards developing a happy life. Education is also one of the important agenda in our nation’s development plan to create a knowledgeable society. Looking at the situation today, many excellent students are not able to further their studies due to financial problems. They do not receive any aid, either in the form of loan or scholarship from any institution, such as the National Higher Education Fund Corporation (PTPTN) or Majlis Amanah Rakyat (Mara). When previous borrowers fail to pay their study loans, current students face difficulty in obtaining loans to pursue their studies. Parents, meanwhile, have a huge responsibility in ensuring that their children get a good education. As the cost of education keeps increasing year by year, parents should plan their financial matters, particularly those related to education, right after the birth of their children to enable them to obtain a good education. When parents are able to plan, the polemic related to the educational loans will not arise. The applications to enter higher public education institutions (IPTA) throughout Malaysia keep increasing year by year but the places offered are limited. Moreover, the selection of students enrolling in IPTA is determined by meritocracy. The selection will take into account of extra-curricular activities, in addition to academic achievements. For children who are not active in extra-curricular activities, parents have no choice but to send them to private higher education institutions (IPTS) locally or abroad. Obviously, this involves a lot of money. Another factor that parents should be aware of is the tuition fees which keep on increasing. In order to reduce the burden on parents, among the instruments that offer an alternative to education loans and scholarships is the takaful plan. 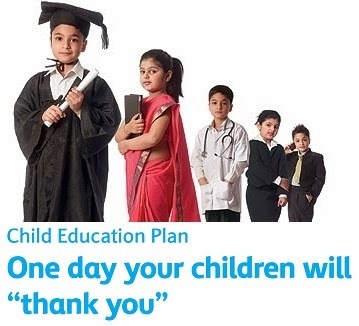 Takaful operators are not just providing protection and investment plans but they also offer education plans so that parents can prepare adequate funds for their children’s future education. This kind of plan will help students further their tertiary education. In Malaysia, the understanding on the importance of takaful is still lacking. Various parties should play their roles in ensuring that education protection becomes an important agenda in family management. In financial planning, parents should identify the family’s needs and ensure that priority is given to important matters, such as children’s education. If parents are concerned about the requirements of the education system, they would have planned their budget, besides participating in a takaful education plan for their children. Among the education fund products offered in the market is Ikhlas Education Takaful Classic (IETC), a product by Takaful Ikhlas Berhad. The benefits offered by IETC are death and total permanent disability benefit, maturity benefit, cash withdrawal (based on requirements), increment of contribution rate and excellent academic achievement awards for participants whose children obtain excellent results in Ujian Pencapaian Sekolah Rendah (UPSR), Penilaian Menengah Rendah (PMR) and Sijil Pelajaran Malaysia/Sijil Pelajaran Malaysia Vokasional (SPM/SPMV). The award is RM100 for each “A” obtained in UPSR subjects (minimum 5As), PMR (minimum 7As) or SPM/SPMV (minimum 7As). Other takaful operators are also offering similar education products. Hence, there is no reason for parents not to prepare for their children’s education as early as possible. Islamic scholar Imam Al-Ghazali Rahimahullah once said: “Children are our jewels”. So, it is our responsibility as parents to polish these jewels by providing them with education. If children have adequate education funds, surely they will be able to further their studies, thus raising the level of education in Malaysia. MAN and his wealth are inseparable. Thus, Islam recognises the human needs to acquire wealth. In relation to this, the religion has outlined a definite set of laws to be followed by man in his interaction with wealth as a mean to enjoy the comforts of life and to achieve taqwa, or the highest devotion to Allah. Having wealth alone, without it being managed and developed for the goodness of mankind, is contrary to what is demanded by Islam. Islam decrees that such wealth to be developed and prohibits one from freezing it. Nowadays, some people begin to turn to investments as an alternative form of income to achieve their future objectives. Yet today, our society is overwhelmed by various investment methods, both legal and illegal, including get-rich-quick schemes. It is undeniable that the awareness for investing among the community today is very encouraging. However, such enthusiasm should not make one fail to distinguish between the real investment methods and the bogus ones, for it may produce catastrophic results in the future instead of success. Therefore, every member of the society has to get hold of the basic knowledge related to the investments before deciding to invest. With rapid growth and development of the takaful industry at present, takaful operators are also offering many innovative products that meet the needs of the society. To fulfil the customers’ needs, not only in term of takaful coverage, but also to reap profits from the investment activities of takaful handlers. Takaful Ikhlas is offering a product that combines the elements of takaful coverage with elements of investment, known as “investment-linked”. Subscriptions to these investment-linked products are expected to continue to escalate, in line with the increasing income of Malaysians. The investment-linked takaful plan is a long-term savings plan based on the method of investing in a group of shares that are divided into several units, something akin to unit trusts and combined with takaful protection benefits. The significant distinction between the takaful investment-linked compared to other investment methods is the element of protection. A participant will not only reap the benefits of investment profits, but will also enjoy the elements of protection should the participant suffer any of the risks covered under the plan. 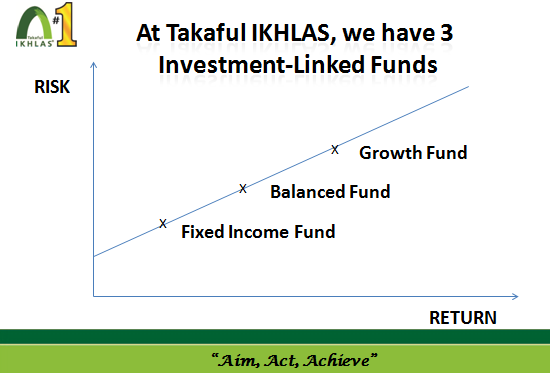 Takaful Ikhlas offers the Ikhlas Premier Investment-linked Takaful and Ikhlas Capital Investment-linked Takaful. Ikhlas Premier Investment-linked Takaful provides a peace of mind to potential investors with sufficient financial protection through investments in any of these investment funds, namely the growth funds, balanced funds and fixed-income funds. 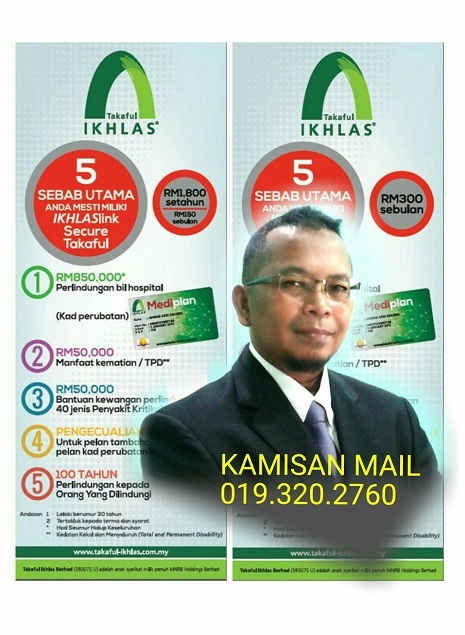 Under the premier investment-linked takaful, participants have the opportunity to make a more lucrative income with only RM100 per month contribution, and they are actually equipping their future with financial protection, should any disaster befallen them that can lead to death or total & permanent disability (TPD). As for benefits in the case of death or TPD, 100 per cent of the total coverage plus the outstanding amount in all share units will be paid to the participant or his immediate family. On the other hand, through Ikhlas Capital Investment-linked Takaful, a single contribution is enough to give the participants the opportunity to get a more lucrative return on forthcoming investments. It is a plan that provides added value, both to the capital and protection simultaneously. Under this plan, participants can enjoy the highest return and protection on the investments they make. For example, with a one-time payment of RM5,000, participants will enjoy a lucrative investment return and takaful coverage required in the event of a disaster that leads to death or TPD. A participant or his next of kin can enjoy (subject to the terms and conditions) 100 per cent of the total coverage (equivalent to 125 per cent of the single contribution) in case of death or TPD. Investment-linked takaful plan is not only unique in terms of worldly benefits to be enjoyed by the participants, but it also provides benefits for the hereafter. This benefit can be enjoyed by the participants through the application of “Tabarru” (donation), which is the core of the takaful system. In the takaful system, implementation of Tabarru is bound to the principles of takaful (mutual help), which is to create a mutual atmosphere of helping one another. As a simple analogy, participant A would make a contribution to help participant B, and participant B would donate to help participant A, this would create a helping environment known as takaful. These are among the advantages and beauty of the takaful system that is not found in conventional insurance system, to enjoy the benefits of the hereafter together with the worldly returns. Participants need not feel apprehensive because the responsible bodies in the takaful industry in Malaysia, such as Bank Negara Malaysia, have established a robust and efficient regulatory framework of syariah compliance. Takaful Act 1984 also has allocated several provisions that require takaful operators to ensure that all their activities comply with syariah, and this is accompanied by circulars issued from time to time by Bank Negara.